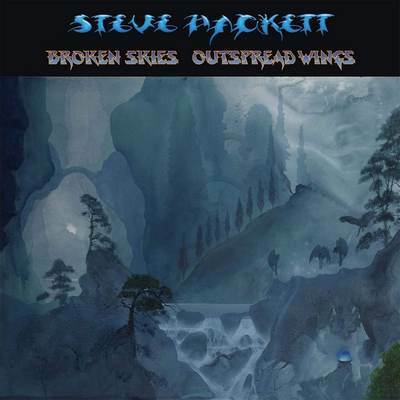 Steven Hackett will follow up 2015’s (now out of print) Premontions anthology with Broken Skies – Outspread Wings, a new eight-disc package that spans the years 1984-2006. This 6CD+2DVD set comes in similar artbook packaging (with Roger Dean cover art) and offers newly remastered versions of the following albums: Til We Have Faces (1984), Guitar Noir (1993), Darktown (1999), Feedback 86 (2000), To Watch The Storms (2003) and Wild Orchids (2006). Of the DVDs, the first contains selected 5.1 surround mixes and some “recent live rarities” while the second is the Somewhere in South America live performance in Buenos Aires, from 2002.